For dietitians, the DI year is supposed to be a pre-professional experience, supervised work that prepares us for the realities of practice. One of these realities, I’m starting to realize, is the exercise of judgment. When I started the DI, I assumed that I’d be trained in guidelines and standards that would neatly inform all of my interventions and decisions. I’ve gotten plenty of exposure to evidence-based guidelines and best practices, but what I didn’t understand before the DI—and what I’m coming to understand now—is that the rules only go so far. In a clinical or practice setting, a lot of the cases we see end up falling into gray areas. A patient presents with multiple complaints or diagnoses, all of which are significant, but some of which are more high priority than others. It’s the dietitian’s job to decide which nutrition problems are the most urgent and in need of addressing; in some cases, interventions for various problems might actually conflict. Weighing treatments against each other, learning to prioritize nutrition problems, understanding the difference between medical nutrition therapy as it was taught to me in a classroom vs. real-world application: this isn’t something that I learned in school. It’s something I’m learning now, from my preceptors and my patients. The most daunting part of it all is the fact that preceptors can only guide me so far. It’s hard for me to do this when I show up to work each day. It feels less risky to memorize a set of rules and apply them diligently than to take a step back and ask myself whether what I’m seeing or recommending looks right, feels right, sounds right. Part of what I’m getting hung up on, I realize, is the idea that judgment and guesswork and intuition have no place in a clinical setting. I want to believe that everything in a hospital can work according to evidence and procedure. I’m off—way off, really—in this kind of thinking. Everything I’ve ever learned working in healthcare environments has suggested to me that the most able practitioners are the ones who have developed clinical instincts. The physician I worked for in DC was exceptional precisely because she’d take risks and leaps of faith with her intuition as a diagnostician: even when a diagnosis wasn’t obvious, she’d have have a sneaking suspicion that it was right, and she’d investigate accordingly. Her instincts were usually confirmed, and even when they weren’t, she gained valuable information in pursuing them. Intuition and judgment intimidate me right now because I can’t memorize them or develop them by sitting at home with a stack of flash cards. I have to build toward them through practice and exposure, which will involve some errors, and that’s what last week’s post was all about. In the last few days, though, I’ve had some heartening reminders that I have better judgment than I give myself credit for. A few of them have happened on the job: I allowed myself to trust an instinct and then had it affirmed by evidence or validation from my preceptor. But what’s helped me the most is actually thinking back to the nutrition counseling work I’ve done in the past, with far less clinical training than I have now, and realizing it has already given me much of the intuition that I need. If nothing else, it’s taught me to listen carefully to people, to pay attention, and paying attention is where clinical judgment springs from. I’ve also been thinking about judgment, discernment, and decision making as they pertain to my broader responsibilities and identity as a practitioner. In the past few days I’ve been struck by how often I feel as though I don’t fit nearly into many of the communities or schools of thought that I work alongside in the nutrition space. I celebrate vegan nutrition, but I don’t always communicate or message the lifestyle the way other plant-based practitioners do. I’m evidence-based, but I’m also interested in the spiritual dimensions of well-being, the ways in which human beings give meaning to their own healing narratives. I’m inspired by the ideals of intuitive eating, but I stop short of thinking that it’s the only approach for all people; I always let my clients guide me in determining a philosophical framework for eating. I move through lots of different nutrition/food spaces, but rarely with a sense of full belonging. I’m at peace with this. When I left that lecture, I actually felt more solid in recovery than I have in a while, given how challenging my body dysmorphia has been (still is, honestly) this fall. And I felt reminded of what I’ve always believed, which is that all of us who have had tangled relationships with food will ultimately come to understand recovery in our own way. I understand not acting on destructive impulses, engaging in healthful behaviors, and cultivating self-compassionate thoughts as a firm, ED recovery bottom line. I’d stop short of telling any person what the meaning of recovery is, or what it looks like. I know what mine looks like, and that’s all I know. These musings look scattered when I glance over them, but for me, it all feels connected. This has been a week of learning to trust in my instincts, of having the courage to acknowledge that I have my own perspective on things. Nothing makes me feel safer or better or more accomplished than doing a stellar job of being what other people (or institutions, or programs) want me to be: meeting and exceeding expectations, hitting goals, scoring well. Even now, at thirty-six years of age, I’m a hopeless teacher’s pet. But the whole point of this education is to head out into the world and do my own work, even and especially when it means sticking to my guns. I wish you a week of feeling tuned into your own intuition. 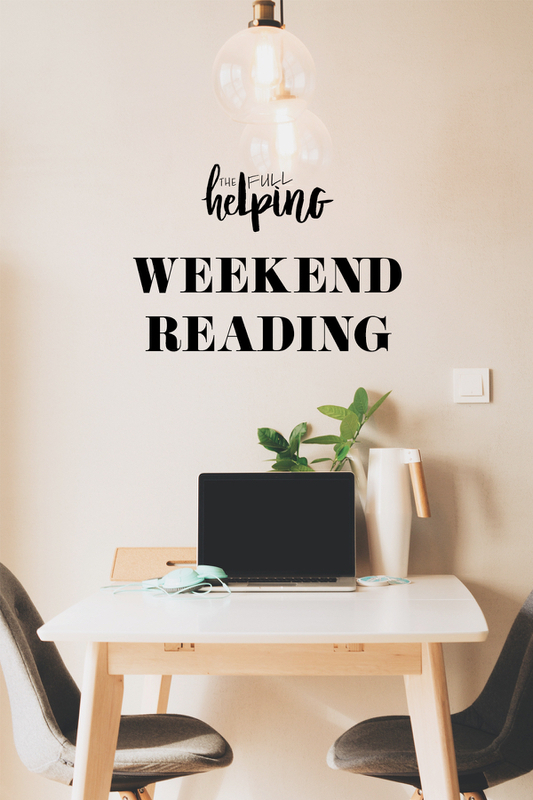 Thanks for reading, as always, and here are the recipes and reads that caught my eye this week. This and next week’s recipe picks will be all about things I’d love to have on my theoretical Thanksgiving table! 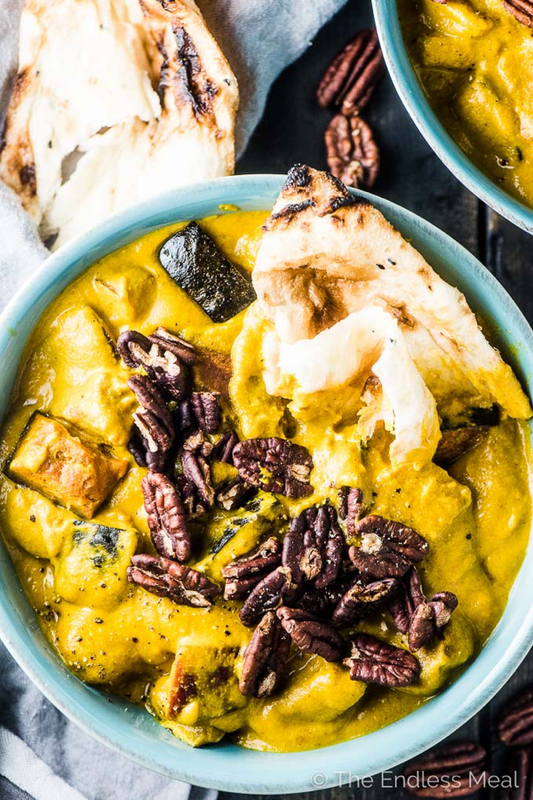 First up: Kristen’s autumn roasted pumpkin curry. A great looking (and easy!) quinoa stuffing from my friend Sophia. 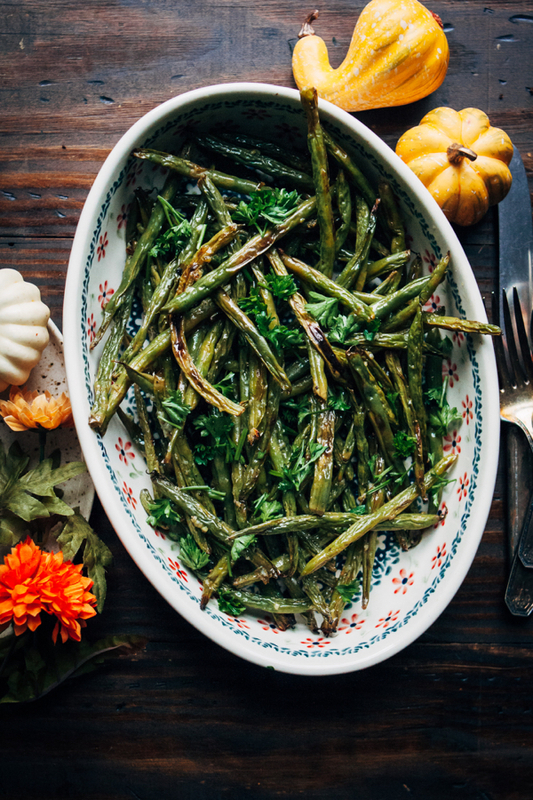 Loving Sarah’s perfectly seasonal, garlicky roasted green beans. 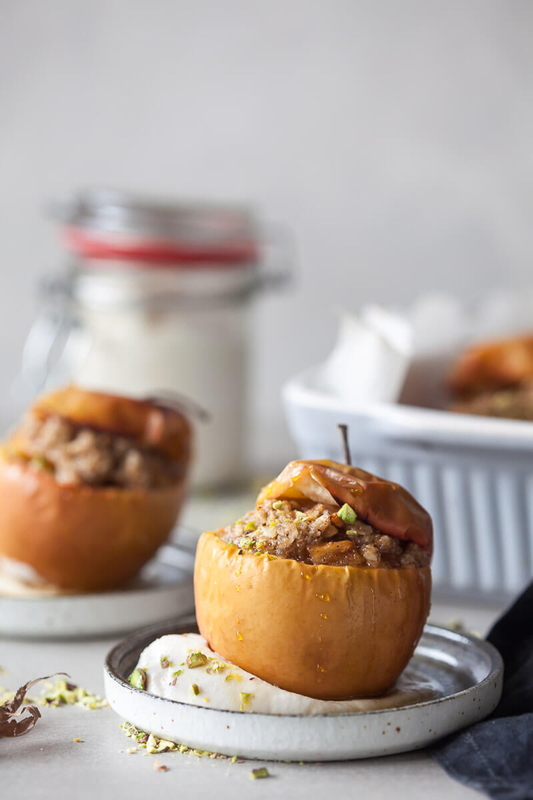 Dessert #1: Kristina’s awesome, cozy cinnamon baked apples. 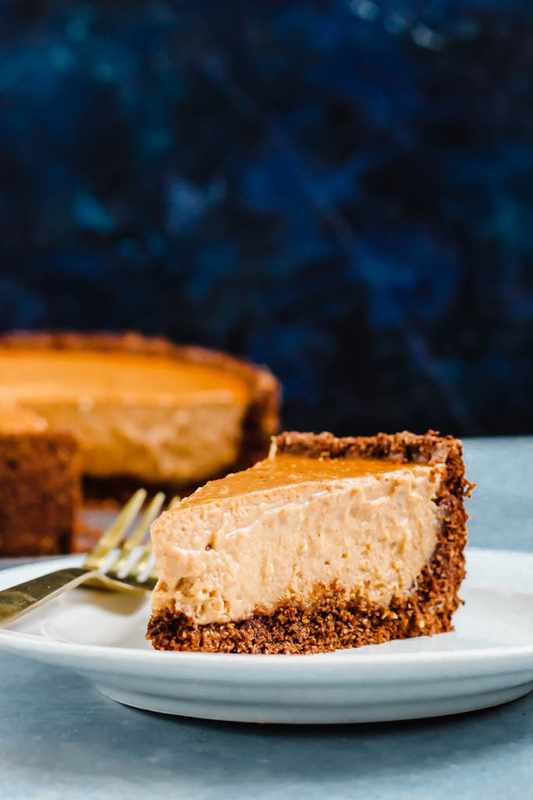 Dessert #2: Will someone please give me a big slice of Emilie’s scrumptious vegan pumpkin cheesecake with chocolate crust?! 1. If you’re as excited as I am about holiday baking, this quick flour primer from the folks at The Kitchn may come in handy. 2. I love the idea of toy libraries, which have the potential to build upon “the social foundation that people already understand from traditional book-lending libraries . . . a kind of infrastructure for sharing and disseminating knowledge.” Not to mention an important place for kids to play, to explore, to savor unstructured time. 3. So much I agree with in Shayla Love’s frank, gutsy take on food intolerance testing. There is a growing body of tests being marketed as valid, reliable means of diagnosing food intolerances. The problem is that food intolerances are more incompletely understood than food allergies, for which there is a long-established, known mechanism. And the presence of IgG antibodies, contrary to what intolerance test marketers claim, isn’t necessarily indicative of an intolerance. It can simply mean that you’re eating a certain food pretty often, which has the particularly insidious result of forcing unsuspecting consumers to eliminate foods they love and rely upon. 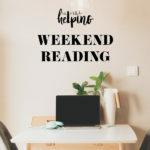 The problem with these tests isn’t that the truth is being hidden from consumers, it’s that: if you are struggling with any kind of disordered eating or thinking patterns, you will latch onto them despite what the evidence says . . . Because of my OCD, I also love rules, and once I implement a rule, it’s extremely difficult for me to break it, as it becomes a ritual. As last year went on, and I got my anxiety under control again, I still couldn’t manage to eat those foods. He thinks everyone is vulnerable to the underlying mental booby traps these tests put out there: The idea that there are foods, healthy foods, that are secretly making you sick. The anxiety such a thing creates is not benign, he says . . .
. . . [w]hen people have extreme anxiety, the brain generates stress signals that travel to the gastrointestinal tract through the autonomic nervous system and the vagus nerve. This stress can change a lot of aspects of the gut and digestion. It can alter transit time of food through the digestive system, it can change blood flow or immune responses, it can change secretion of mucus, and all of those changes can then affect the bacteria that live in your gut, or your microbiome. Of course certain food can serve as very real triggers for digestive distress: this can be true of high FODMAP foods for those who are sensitive to them, and more broadly, some of us just have a hard time digesting certain things (onions, crucifers, raw veggies, spicy food—you name it). But it’s been my overwhelming experience that the information about intolerances that permeates the wellness space is often scientifically misleading, and that the anxiety it creates can actually compound and worsen GI distress. I think it’s so important for practitioners who work with digestive health to remain vigilant of food-related anxiety and disordered eating, addressing intolerances only in a way that’s evidence-based and sensitive to the health and well-being of patients. 5. Finally, and while we’re on my favorite topic of the placebo/nocebo effect, the New York Times shares new insights into how the placebo effect really works. Happy Sunday, everyone. 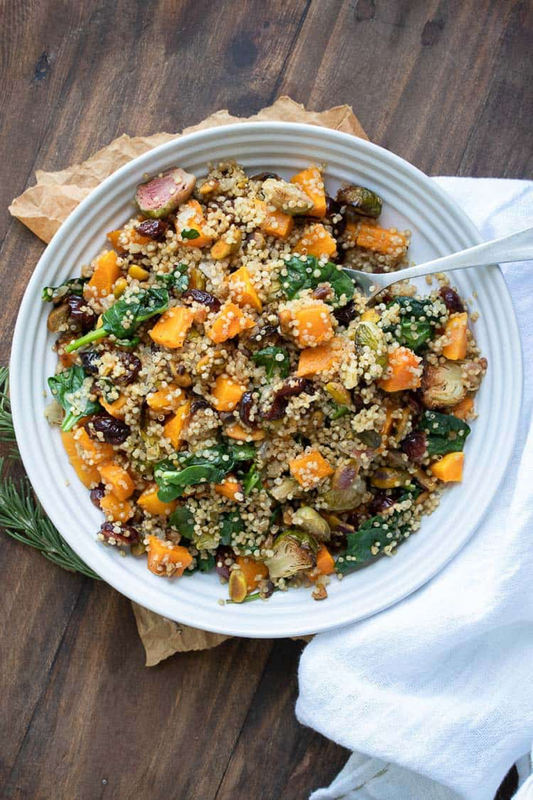 I’m back this week with a new, tasty, low-maintenance Thanksgiving recipe! I can’t add much to the discussion but I can tell you that your individuality, your unique perspective, your “you-ness”, is what is going to make you a great practitioner. The book learning is just a base and you need that but all the little layers of you that you have gathered over the years (plus whatever you glean in the future) are going to make you outstanding. Your individuality will connect you to others who need what you have to offer and it will help to inform your “gray area” decisions. If nothing else, be confidant in that. I am looking forward to reading the article from Shayla Love. I really worry about the Internet and self diagnosis. It concerns me that people might not seek help (because they have diagnosed themselves) when they really need it. (or that they are walking around thinking that they have a problem when perhaps they don’t.) The power of suggestion is very strong. It can be lonely at times for sure, not knowing entirely how to define myself. I try to surround myself with others who feel the same and also take solace in Gretchen Rubin’s first rule of adulthood: Be Gretchen (in this case, Be Kait). I’ve heard about a library in New York City (not sure which borough, I feel like maybe Queens?) having American Girl dolls that they would lend out. It was very cute, and nice since it is a very expensive doll and it got many of the girls reading the books and learning about American history. As a Mom I can safely say money wise or not toy banks are a GREAT idea. I hear too many times Mom’s complaining about their kids getting bored of toys so they buy more, and I cringe. Yes, I’ve bought some toys, but I largely just used gifts and hand me downs. I haven’t even received all the hand me downs from my sister, and I feel overwhelmed. Kids go through phases and I could think of MANY things that my kid would want to play with, but thinking about it a toy library would be great. Just borrow some Elmo toys for a few weeks, then switch to trains, etc. I think the biggest pitfall is trying to market it. There was a toy lending store in the town I lived in, it never really made it. Shame. But I think too many people thing the toys are dirty or likely broken or something like that. I know many lower income people I’ve worked with over the years didn’t understand second hand stores, viewing them as for the people who were dirt poor, making things much more of a status symbol. GOSH I’ve rambled. I love this idea and clearly I have so many thoughts. But I thought you would enjoy this, my library has a cake pan rental service. I haven’t used it yet, but I plan on checking out their donut pans (to make donut bath bombs sadly) and their angel food cake pan. “The importance I’ve allowed food to have in my life would defy many practitioners’ conception of what a healthy relationship with food looks like.” Me too! Missing checking in here more frequently. Hugs.